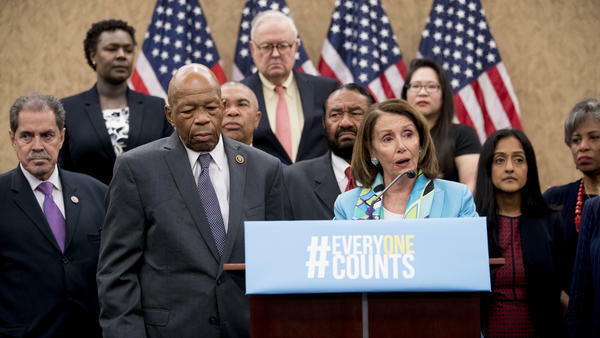 Nancy Pelosi of California, now House speaker, joins fellow Democrats, including Reps. José Serrano of New York and Elijah Cummings of Maryland, as well as other census advocates at a May 2018 press conference in Washington, D.C., about the new citizenship question on the 2020 census. Now, census advocates are watching to see if the census gets caught in a prolonged funding stalemate with the partial federal government shutdown – a scenario that could impact the hiring of census workers, advertising plans and IT systems preparations for the first U.S. census to allow all households to respond online. The Trump administration is fighting seven lawsuits over a hotly contested question it added to the 2020 census last year – "Is this person a citizen of the United States?" 3. Is the online U.S. census prepared for cybersecurity threats?